“We have Bermuda grass, Fairway Green is an excellent service for us. We have been using them for over 3 years now and all of our neighbors have switched them as well. 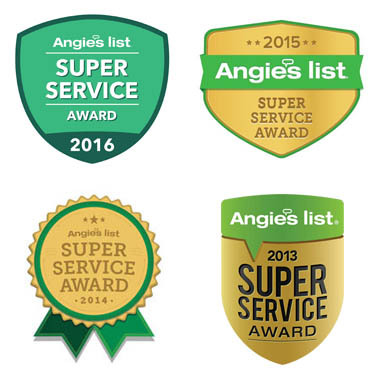 If you have an issue, they are right on it and get you taken care of quickly.” – Andy H.
“This company is great! Very helpful staff. Matt came out to my property and answered all of my questions and gave me some great tips. I’m very happy with my results and I highly recommend this company.” – Todd B. “Fairway had transformed my front yard into the nicest on the block. Now have them helping with my back yard. No doubt be just as impressive. Field & Office staff very knowledgeable and helpful.” – Erin B. “Great customer service and a great looking lawn!!! !” – Tom T.
“Fairway Green is the premier yard company in my book. In the last couple of years, their attention to my yard has been outstanding. When in the yard, walkers have complimented how beautiful and weed free it is. Their attention and focus has created a beautiful carpet of green and against my blue home….it is an aesthetically pleasing view from the road. 5 Stars for Fairway Green! Many thanks! !” – Sandra E.
“I was referred to Fairway Green by a coworker and they been taking care of my lawn for the past three years. They do a great job with weed control and keeping my lawn healthy and green. Staff are always professional and friendly, both in the office and at your home. Technicians are always willing to answer your questions and address your needs. I would highly recommend Fairway Green to keep your lawn looking great!” – Brian M.
“Great company! Easy to work with! Great results! Steve Kirby is an MVP! !” – Aaron S.
“I decided to try them based on a neighbor’s recommendation and so far it has been a very good move. Very prompt response, detailed analysis of our yard and fair pricing. Tech was out within a few days to start our treatment. Results are guaranteed. Can’t go wrong. Highly recommend!” – Dr P.
“Kenny started calling for our lawn service business last year (for the 2017 season). I ended up going with a different lawn care company; after the fact, I realized that that company was much more expensive. Fortunately I had told Kenny to call me back for the next year…and he did! I hadn’t made any decisions each time he called and asked him to follow up with me for probably 6 weeks. Like clock- work he did just that! The funny thing is, I never felt that he was “selling me” because I really hate that! In fact, I was getting ready to go with another company since it was a referral from some neighbors when I realized that their Lime Treatment was an additional cost (not saving us much money from the previous company). When I told the salesman at the other company to hold off for a little as I needed to check something out, he got really salesy on me. I called Kenny, he was pleasant, honest, and down to earth and he won my business!! I can’t wait to see the service behind it because I have a feeling it’s going to be good!” – Dece T.
“The company has been very responsive since I first contacted them for an estimate for services. Their pricing was in-line with others, but the representatives at Fairway Green gave me some added free advice on how to quickly handle some weed issues and bare spots in the lawn. One of the other service companies wanted $100 to spot treat weeds and bare spots directly. I took care of the issue for about $20 and an hour of my time.